Edinboro University of Pennsylvania is seeking on-line (only) applications for the Director of Residence Life and Housing. This position reports to the Dean of Students and is charged with providing visionary leadership for engaged student learning and living experiences through the University’s Residence Life and Housing programs. Collaboration across faculty, staff, and student organizations is essential. The Director leads a team of professional and student employees to develop and implement residential programs that support the University’s learning goals and student success. A full position description and required qualifications is available at http://jobs.edinboro.edu/postings/5256. Edinboro University of Pennsylvania accepts on-line applications only. Please apply online at: http://jobs.edinboro.edu/postings/5256. Job Categories: Residence Life and Housing. Job Types: Full-Time. 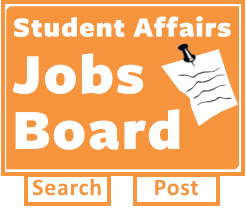 Job Tags: Director, Housing, and Residence Life.